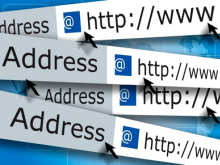 Here are links to some other legal and property websites you may find useful. This site provides information on properties in Edinburgh and East Central Scotland. This site covers properties offered for sale in North East Fife. This is the website of the professional body for solicitors in Scotland. Arguably Kirkcaldy's premier Letting Agent. See all of our properties on this Scottish web portal. This is the official site of the body which administers the provision of legal aid in Scotland. This site covers properties for sale in the Dundee area. Ask us for a free no-obligation pre-sale valuation of your property.